We would be delighted to enter your comments into our guest book. To see some of the existing entries please click the image on the right. 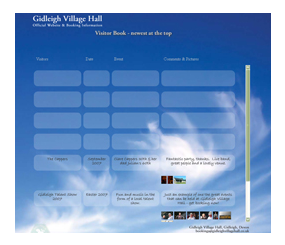 Please send your entries to webmaster@gidleighvillagehall.co.uk and attach any photos you wish to upload to the site. We really hope you enjoyed your stay and we hope to see you again soon.